Eydie Gorme, who had a hit in 1963 with Blame It On The Bossa Nova, has died in Las Vegas at the age of 84, her publicist has said. Eydie Gorme was a popular nightclub and TV singer, both with her husband Steve Lawrence and as a solo act. In 1953, she joined what became the Tonight Show on the NBC television network. 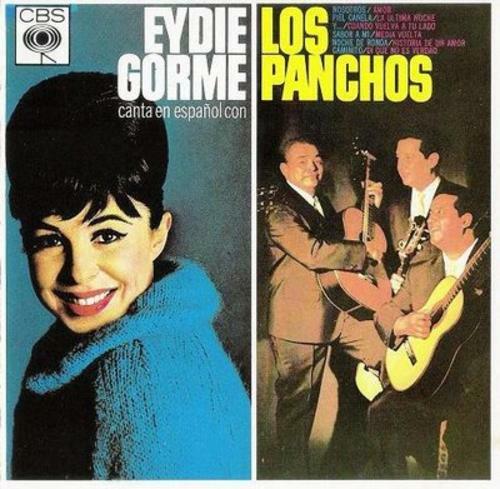 Eydie Gorme and Steve Lawrence also recorded Spanish-language songs which became hits in Latin America. Eydie Gorme died after a brief illness. Steve Lawrence was at her bedside, along with their son, when she died on Saturday afternoon, her publicist Howard Bragman said. Eydie Gorme, who was born to Spanish-speaking Jewish parents in New York in 1928, grew up speaking both English and Spanish. She met Steve Lawrence in 1953 on the set of a New York local TV programme hosted by Steve Allen which became the Tonight Show the next year. The couple married in 1957. Eydie Gorme’s biggest solo hit was Blame It On The Bossa Nova. She also scored another success on her own in 1964 with the Spanish-language song, Amor, recorded with the Mexican band Trio Los Panchos.